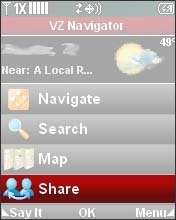 While in VZ Navigator, select Share. If presented, enter the verification key then select Submit. Go to the website displayed on the screen of the device. 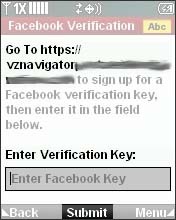 Follow the on-screen prompts to sign up for a Facebook verification key. 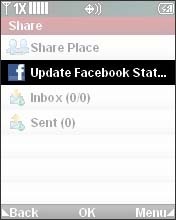 Update the status as desired then select Post.